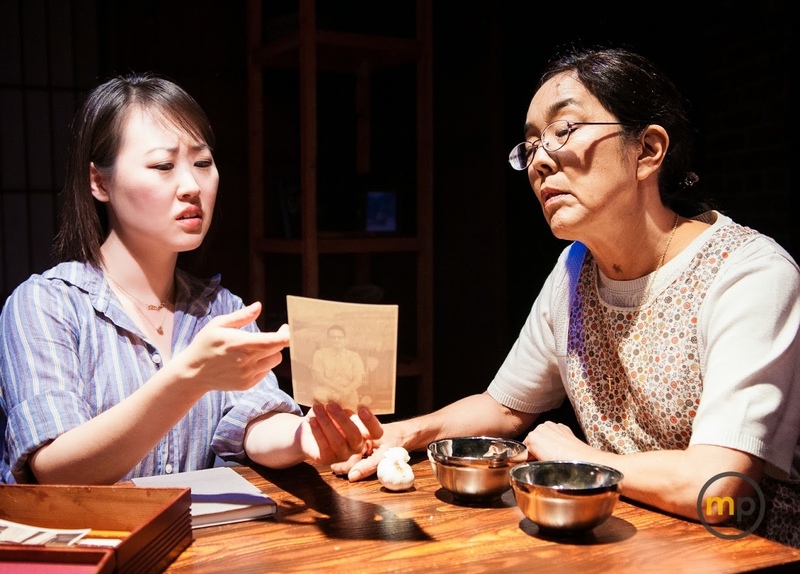 Artists at Play presents the Los Angeles premiere of “99 Histories” by Julia Cho, directed by Leslie Ishii, at the Lounge Theatre 2, 6201 Santa Monica Blvd., Los Angeles. Eunice, a Korean American former cello prodigy, comes home pregnant and unmarried, and tries to mend her relationship with her mother. Haunted by violent memories and previous battles with mental illness, Eunice must confront her ghosts before she can move forward. “99 Histories” is a powerful story about the bonds between mothers and daughters. In this riveting and poignant drama of memory, legacy and home, what is remembered might be made up and the only homelands that seem to exist are imaginary. Featuring Brendan Bradley, Julia Cho, David Huynh, Jolene Kim, Sharon Omi, Janice Pak, and understudies Kimiko Ann, Desiree Mee Jung, Junot Lee, Jane Lui, Matthew Mancuso and Diana Tanaka. Set design by Art Betanzos; costume design by Rachel Stivers; lighting design by Lonnie Rafael Alcaraz; sound design by Steve Garbade; property master: Sasha Monge. Friday, Sept. 19, at 8 p.m.
Saturday, Sept. 20, at 8 p.m.
Sunday, Sept. 21, at 7 p.m.
Thursday, Sept. 25, at 8 p.m.
Friday, Sept. 26, at 8 p.m.
Saturday, Sept. 27, at 8 p.m.
Sunday, Sept. 28, at 2 p.m.
Sunday, Sept. 28, at 7 p.m.
Groups of 10 or more can email [email protected] for information about discounted tickets. Regular tickets are available at www.brownpapertickets.com/event/756058.